Oath Bound is the final book in Rachel Vincent's Unbound trilogy and it was another great story, this world has been absolutely fascinating and I'm actually sad that this was the last book because I'd have loved to spend more time here. Kris has seen first hand how the Tower Syndicate nearly destroyed both his sisters and he is determined to bring them down once and for all so they can't hurt anyone else. He has been working with Kori and Kenley to slowly release people from their bindings but when Kenley is kidnapped and taken back into syndicate control Kris will stop at nothing to get her back. Sera was the only survivor in a tragedy that killed her entire family, she is desperate for revenge against the person who cost her everything but the only way she can make them pay is by asking the syndicate for help. It's a move that could cost her everything but she's desperate enough to take that risk. When Kris sneaks into the Tower headquarters looking for his sister he ends up taking Sera with him as a bargaining tool. 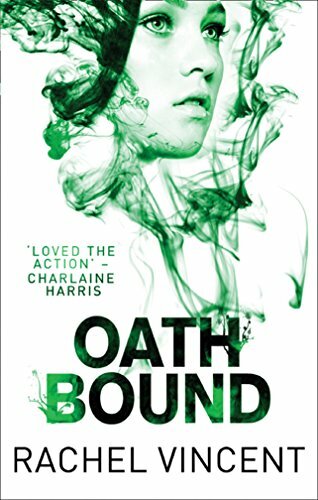 Neither of them have any reason to trust the other, especially considering the circumstances of their meeting and the huge secret that Sera is keeping, but it quickly becomes clear that they're in over their heads and the only chance they have of rescuing Kenley and staying alive themselves is by working together to bring the syndicate down for good. This was another fast paced story full of plenty of action and a nice amount of romance. I enjoyed the bickering between Sera and Kris and I loved that she didn't let him off the hook for effectively kidnapping her, even if he did save her life in the process. Their romance was a nice slow build which made it believable and they were a cute couple. I enjoyed getting the chance to catch up with previous characters from the series, they all have a part to play in this book and it was good to see them working together to fight a common enemy. This series has been a lot of fun to read and it's one I'm sure I'll end up rereading in the future. My one minor complaint is that I felt like there was possibly going to be a fourth book at one point so I didn't think things were quite finished as far as the Cavazos Syndicate. Don't get me wrong there are no big cliffhangers and this story felt completely resolved but I would have liked to revisit Cam and Liv's situation and helped them get their freedom too. The way things were left made it clear that good things would happen in the future but I would have liked to witness that for myself. That's a really minor issue though because I loved the way things ended for the rest of the characters! 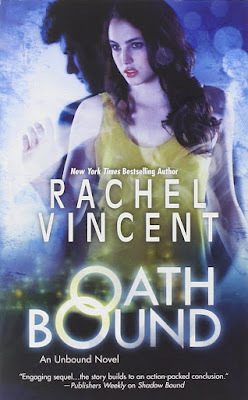 The Unbound books are definitely darker than Rachel Vincent's Shifters series but she's created another interesting world that had me hooked from beginning to end. This sounds great! I haven't read the series, but it's definitely something I'd be interested in. Sorry to hear the ending isn't super satisfying, though. I hate when things feel unfinished. :/ Great review! This is a really fun series Alyssa, I'd definitely recommend it. This particular story had a brilliant ending but the overall series felt a little open ended, very easy to imagine how you want certain things to go but I think there was probably going to be a fourth book at one point.